In the western world, people have become very loose with the term “yogi.” It has turned into a trendy buzzword that provokes the image of a strong yet graceful athlete doing gravity-defying arm balances and meditating in the studio. When someone uses the label, they most often are talking about the physical practice, applying the term to someone who simply goes to yoga classes on a regular basis. While the asana practice is certainly an aspect of what it takes to be a true yogi, that really only covers the tip of the iceberg. The most common interpretation of the term “yogi” in the west has become incredibly disconnected from the true meaning of what it takes to have a well-rounded yoga practice. Yoga isn’t simply a physical practice—it is a way of life that requires dedication in the mindy, body, and spirit. By the sustained practice of the eight limbs of yoga, the impurities are destroyed and the light of wisdom, discrimination shines forth. For someone to reach this enlightenment and become a true yogi, they must incorporate yoga into their life, in every moment that they breathe. The practice doesn’t stop once they leave the yoga studio; they continue to integrate the teachings and lifestyle throughout their day. The philosophy of yoga becomes a roadmap for how they live and exist in the world, and isn’t restrained to four walls of a yoga studio. Of course, this is much easier said than done. One does not simply become a yogi overnight—they must truly embrace a lifelong study. While a lot of dedication is required to become a true yogi, there are ways we can incorporate yogic teachings and practices into our life to strengthen our understanding and move closer to the yogic lifestyle. Developing a deep understanding of the eight limbs of yoga will help you paint a more accurate image of a true yogi, and may inspire you to expand your practice beyond the studio. This outline gives a glimpse into the eight limbs of yoga and what they encompass, but remember that understanding each aspect intellectually is only the beginning. In order to become a sincere yogi, you must dedicate your life towards exploring these concepts and implementing these practices. Yama relates to restraint, vows, and practices relating to the world around us and how we interact with it. These rules of social conduct influence how we live, and encourage us to be more mindful with all people and situations that come into our lives. There are five yamas under this limb, which we can work to instill in our lives, regardless of our background, our experience with yoga, or our current lifestyle. Ahimsa means non-violence. This rule encourages integrating love into each thought we have and action we take in order to live more mindfully. By coming from a place of love and practicing non-violence, we can better serve the community around us and the greater world. Satya means truthfulness. 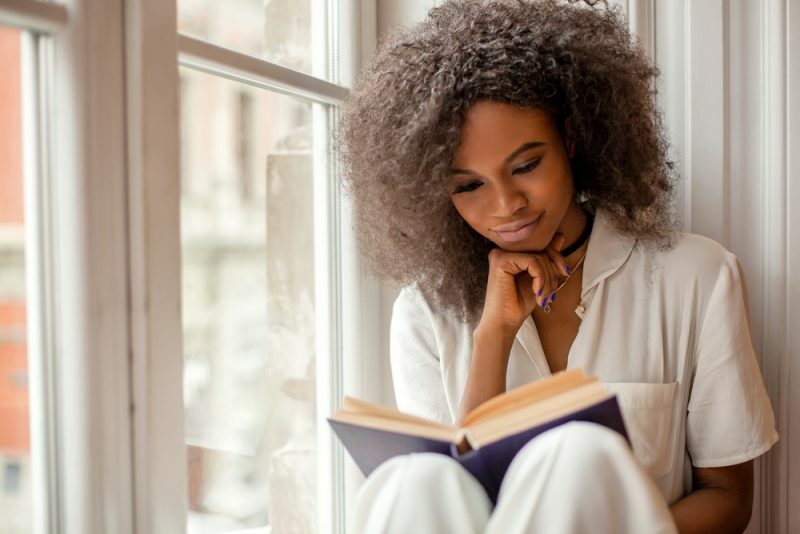 In Sanskrit, the word “sat” translates to “true essence” or “true nature,” so through implementing satya, we are both speaking and living in ways that are true to our being. By practicing this yama, you are aligning with your purpose and acting as your most authentic self. Asteya means honesty, non-stealing, and non-cheating. The urge to steal, cheat, or otherwise be dishonest in your words or actions can rise out of a place of lack. When we feel incomplete, we may move towards wanting to take from others—in regards to material goods or otherwise—in order to fill that gap. Yoga teaches us to be happy with where we are and what we have, knowing that all we need is inside of us. Brahmacharya means the right use of energy. While it is often confused with celibacy, this yama has more to do with directing your energy towards finding inner peace and happiness. In Sanskrit, the word translates to “behavior which leads to Brahman,” who is the creator in Hinduism. By correctly directing our energy towards the divine, rather than fleeting external desires, we are acting in accordance to our purpose. Finally, Aparigraha means non-possessiveness and generosity. This yama promotes the idea of letting go of control and releasing our attachment to material things. Rather than hoarding our possessions and feeding into a sense of greed, we take only what we need in the moment and let go of things that do not serve us. It also encourages generosity towards others as a way of spreading abundance. This can be through material things, but equally as important is showing generosity through words, gestures, and prayers. Niyama relates to the behaviors we direct towards ourselves. The Sanskrit word “ni” means “inward” or “within.” These personal rules serve to help us live a more balanced life, and help us build character. In Patanjali’s Yoga Sutras, there are five niyamas that exist under this limb. Saucha means purity and cleanliness. It relates to both outer cleanliness and inner purity of the mind. This encourages the reduction or elimination of things that could be harmful to our mind and body, and to replace them with beneficial nourishment. This includes the foods you eat, the environment you exist in, your relationships with others, and the habits that encompass your life. The more pure these aspects of your life are, the more clean your mind and body will be. Santosha means contentment. It promotes the release of trying to control people or outcomes, and instead to find peace and awareness in where you exist right now. It allows you to accept your current circumstances and connect to your happiness and gratitude for the abundance in your life. Tapas means discipline. In Sanskrit, the word is derived from the verb “tap,” which means “to burn.” Tapas is therefore translated as meaning “passion” or “fiery discipline.” This niyama encourages perseverance, and the commitment to doing the work to follow the path to our greatest potential. It promotes building a foundation that allows you to flourish in all areas of your life, from eating well to getting physical exercise to practicing self-reflection. Svadhyaya means self-reflection and the study of spiritual texts. 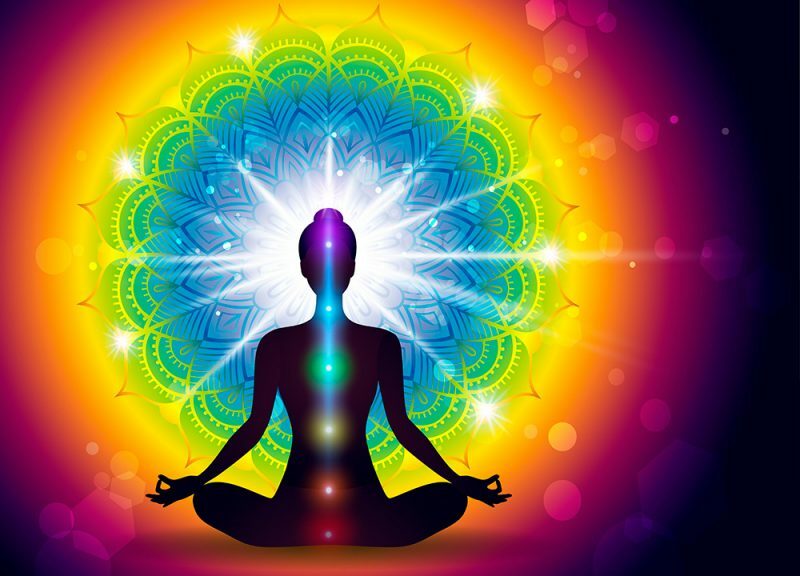 The word in Sanskrit is broken down into “sva” which means “self” or “human soul,” and “adhyaya” which means “lesson” or “lecture.” It encourages the exploration of the spiritual side, both of your inner-self and through traditions and history. It requires the consistent dedication to meditation, self-reflection, reading of spiritual literature, and seeking out new knowledge. Ishvara Pranidhana means self-surrender and the constant devotion to God. This final niyama encourages the surrender to the divine and developing a trust with the universe. Each action we take is a way of offering to a power that is bigger than us, as well as acting in alignment with what is best for humanity. Of course, the physical practice is still a significant part in becoming a true yogi. Initially, however, Patanjali was only referring to bringing the body to stillness for meditation. The postures that we label as asanas in the modern world came approximately eight centuries later. This posture practice was introduced as a way for practitioners of yoga to better prepare their bodies for meditation. Patanjali’s original outline refers more to the ability to stay still in a steady and comfortable position, without being distracted by aches or twitches due to staying in a physical position that isn’t best serving our physical needs. The instruction given for this posture is “sthira sukham asanam”, which essentially means loosening tension to become completely merged with the infinite. Prana refers to “energy” or “life source”, and through breathing techniques, we are able to control this life source. 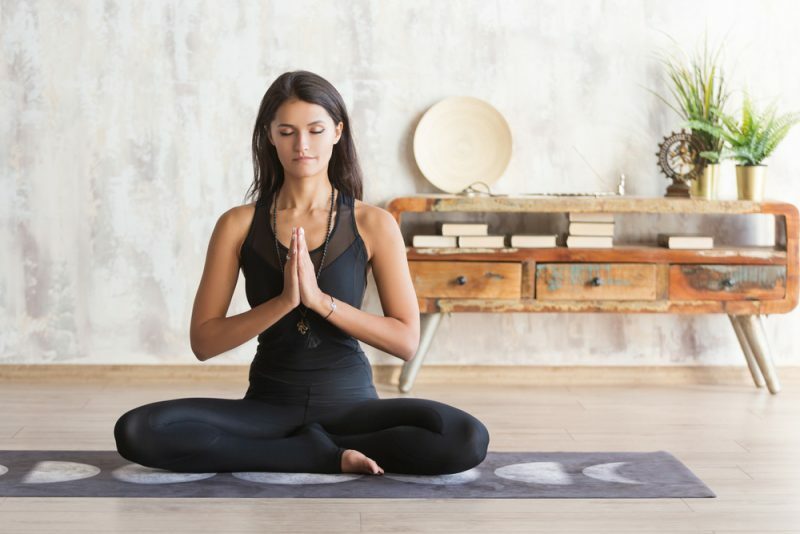 Different yogic breathing techniques have different purposes, allowing you to connect with the mind and affect your mental state in a variety of ways. Certain techniques can help us let go of stress, while others can help energize us for the day. 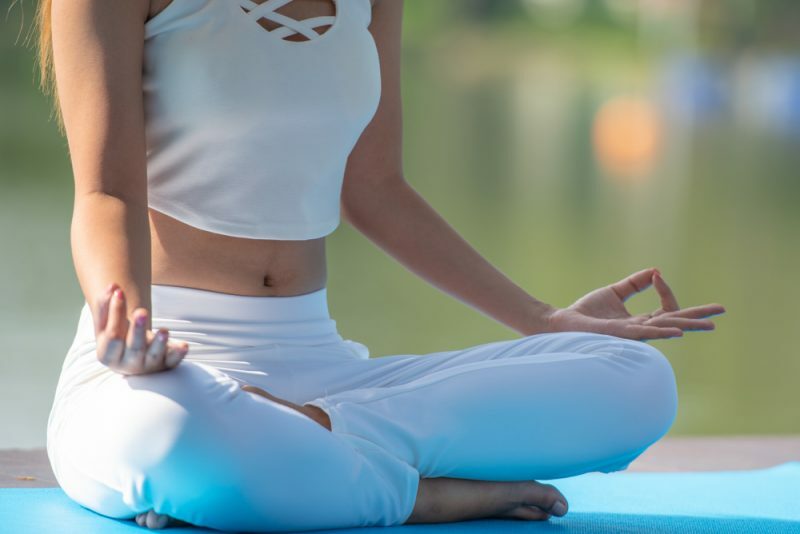 Pranayama is a powerful tool that can greatly deepen our asana and meditation practice, as it helps to liberate the life force and connect us inward. In Sanskrit, “pratya” means “withdraw” and “ahara” refers to “taking in” the things around us that stimulate our senses: scents, tastes, sounds, and so on. In meditation, as we are deeply focusing inward, pratyahara refers to not being distracted by the elements around us. We should be so deeply entrenched in our meditation that the stimuli around us don’t alter our state of being. Rather than becoming numb to the senses, as the translation may imply, we are simply strengthening our ability to stay inward and not be pulled out of our meditation by the world around us. This practice can even be integrated outside of meditation. As we are working on the task at hand, we become so focused on it that we aren’t distracted or taken off of our path by the stimuli that surrounds us. Dharana is strongly linked to pratyahara. In Sanskrit, “dha” means “maintaining”, while “ana” means “other.” Dharana relates to the deep concentration in meditation and our practice. In order to get to this place of concentration, we must withdraw our senses and not react to outer stimuli and allow the distractions around us to take us away from our practice. The seventh limb, dhyana, refers to the complete surrender into and absorption of our meditation. Meditation serves as the pathway towards the state dhyana—once we get into that state, we have reached total awareness. The ability to move into this state, however, is through the preparation of the previously mentioned limbs of yoga. You can’t simply reach dhyana through meditation. Rather, you have to dedicate yourself towards integrating each limb of yoga before you can reach total awareness in meditation. Yoga as a practice is incredibly vast, and a life dedicated towards becoming a true yogi requires an journey through many paths of the mind, body, and spirit. This overview gives a glimpse into the eight limbs, but each can be studied and practiced for years—maybe even a lifetime—before one truly understands them. While becoming a yogi in the most authentic sense of the word may not be easy, we can all take steps towards practicing a more well-rounded version of yoga. Begin to explore the yogic lifestyle both on and off the mat, and you may be amazed by how much more there is to learn about this spiritual path.